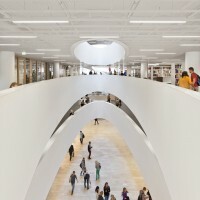 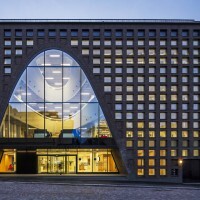 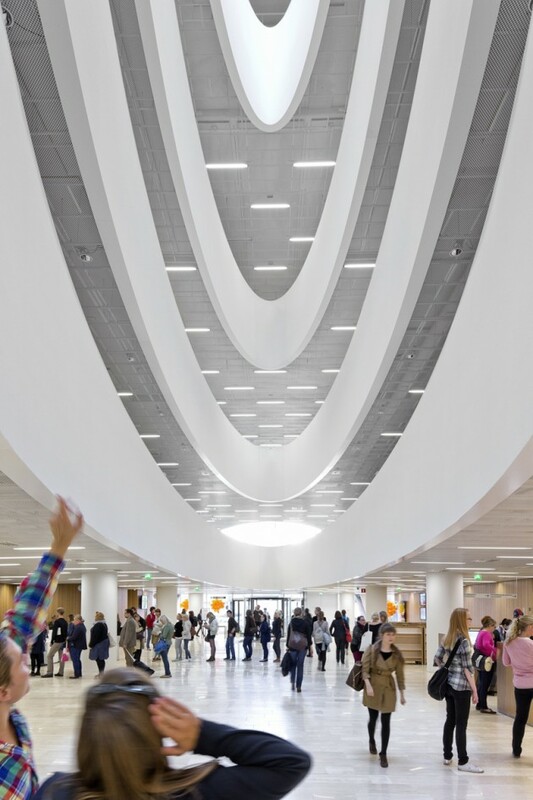 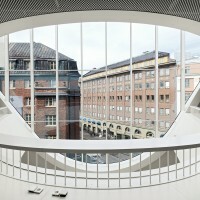 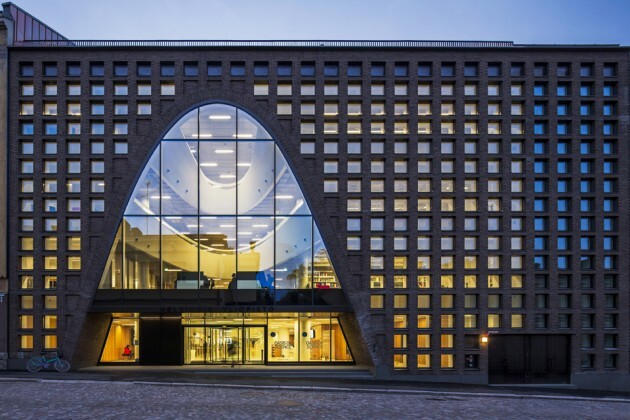 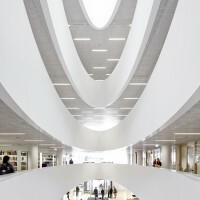 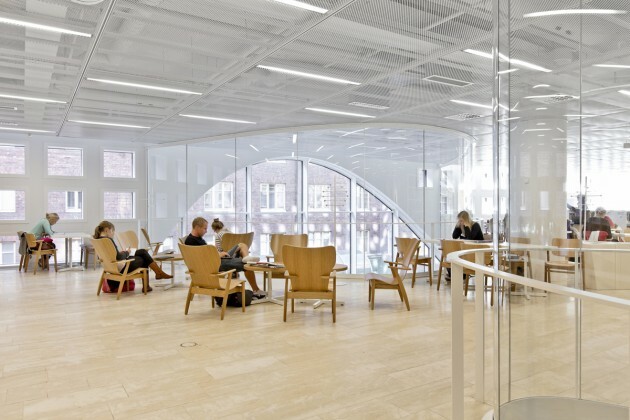 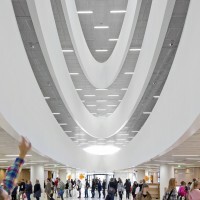 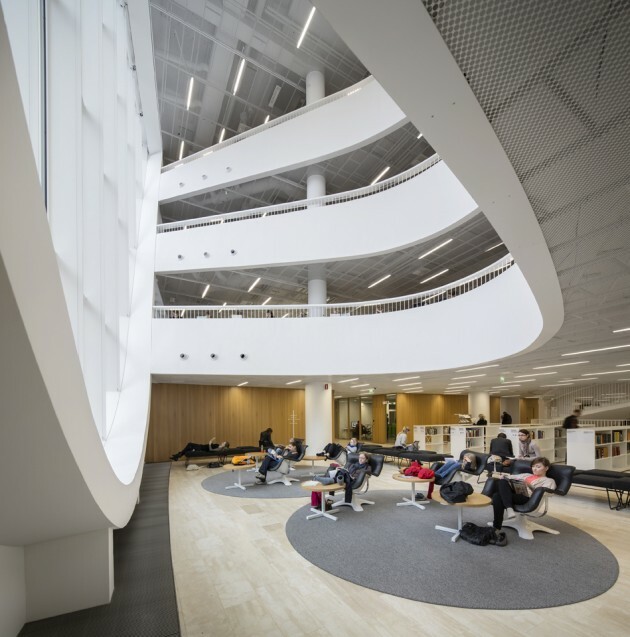 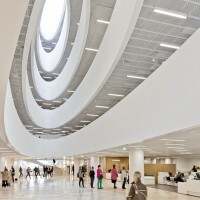 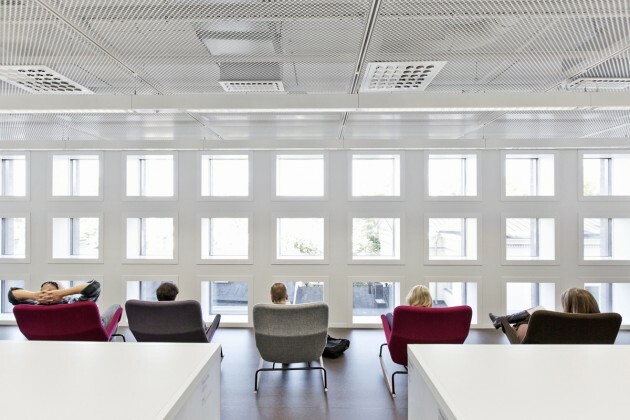 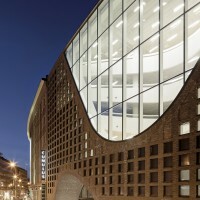 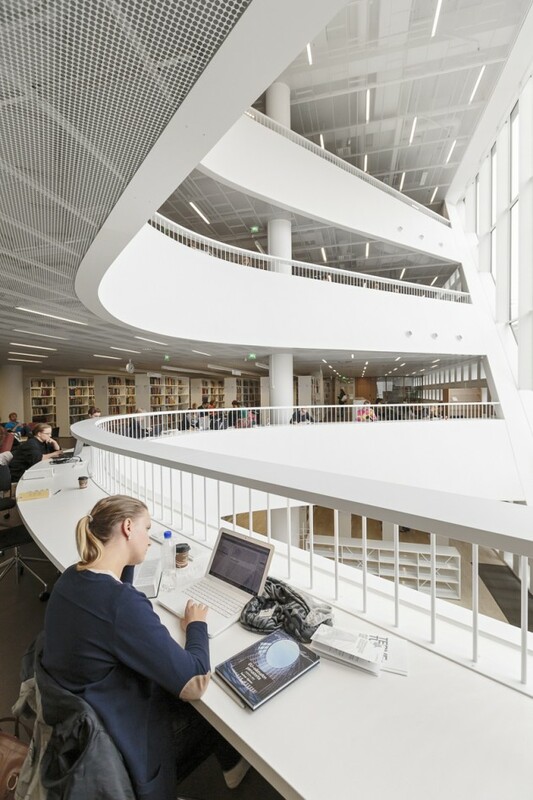 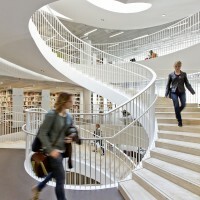 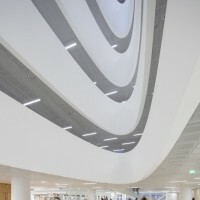 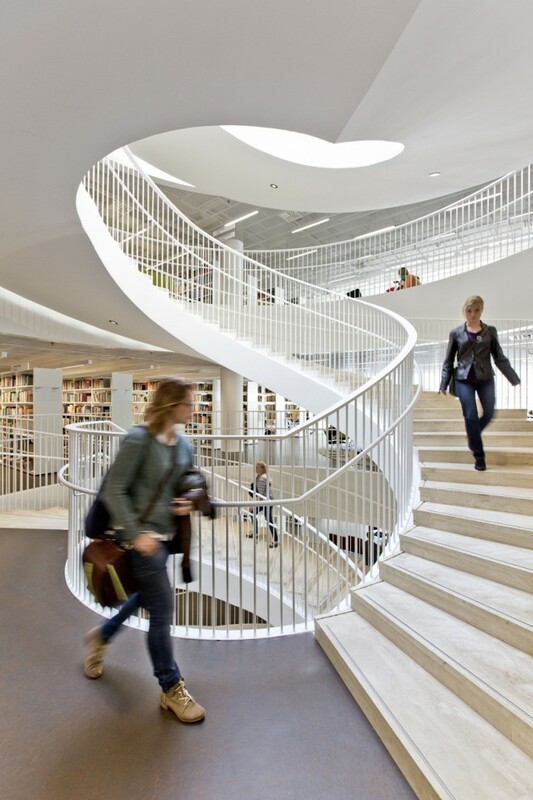 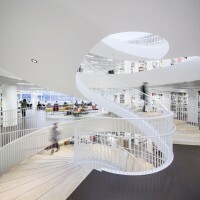 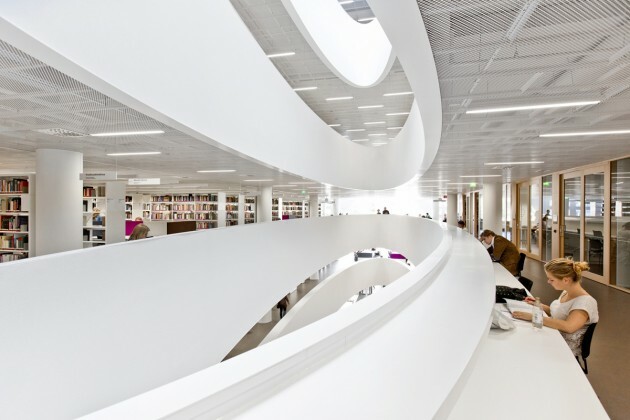 Anttinen Oiva Architects designed the Main Library at Helsinki University in Finland. 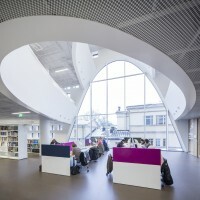 Helsinki University Main Library, the largest academic library in Finland is located in a historically important city block in the very heart of the city centre. 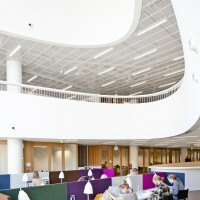 The library was designed to offer a wide range of services flexibly to a large number of customers. 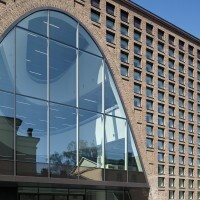 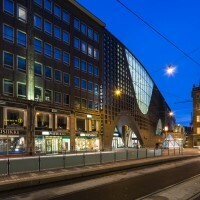 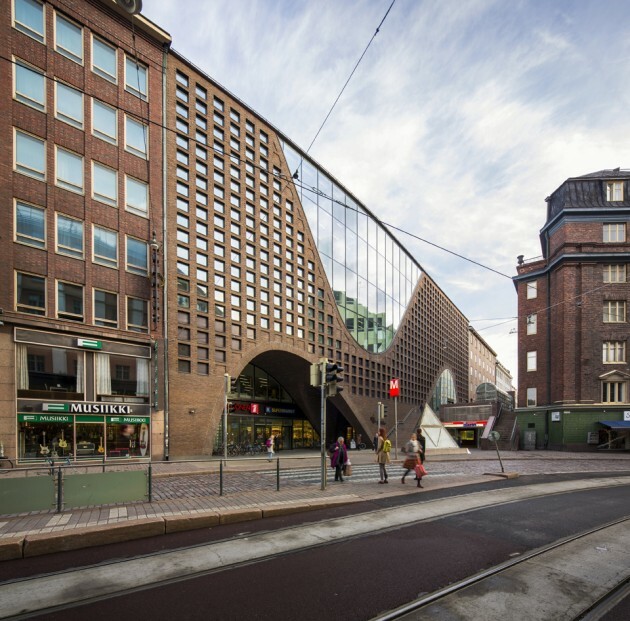 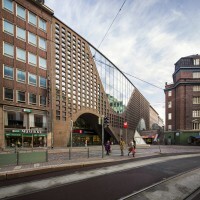 This imposing building in the centre of Helsinki provides a gateway to the new information age. 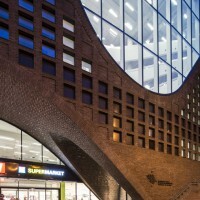 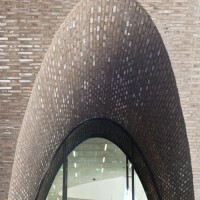 The new library building complements the urban block by adding a curved brick facade, integrated within the street line formed by the adjacent buildings. 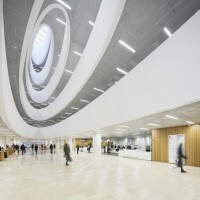 The architectural starting point – the cityscape considered – was a vision of a unique public building that will suit its surroundings in terms of its materials, design and height. 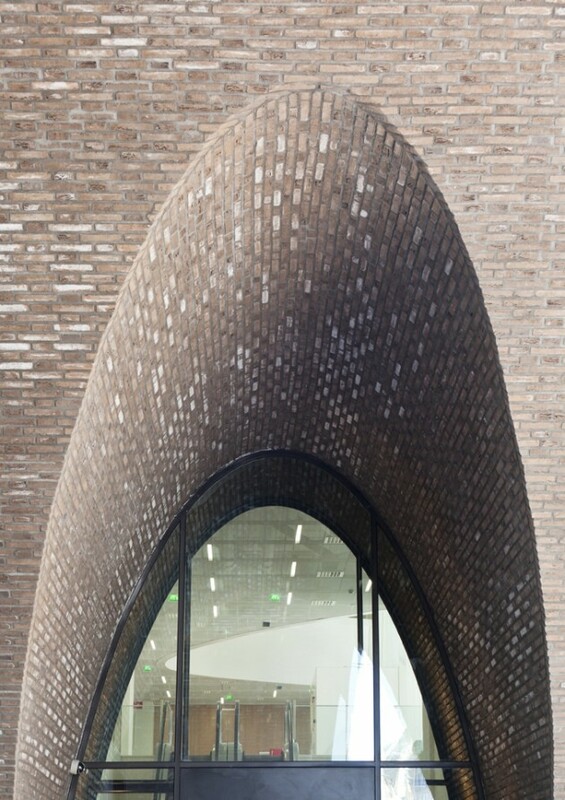 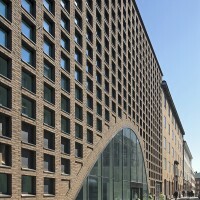 The dense fenestration grid, which blurs the standard floor division, together with the large arched openings give the library a distinct external appearance. 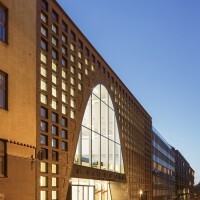 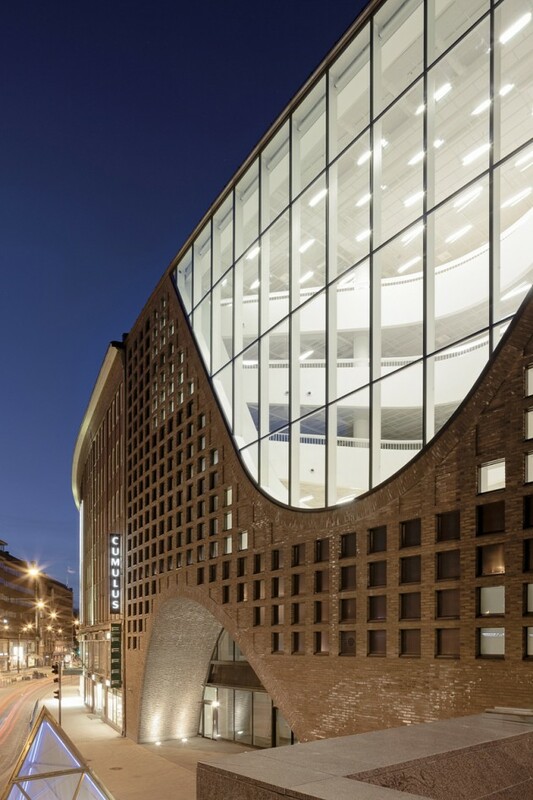 By varying the size of the arched openings the building is fitted as an integrative solution within a situation of three different types of street space.